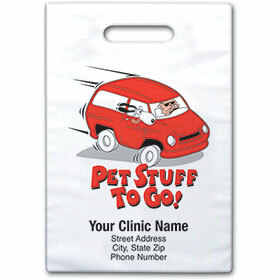 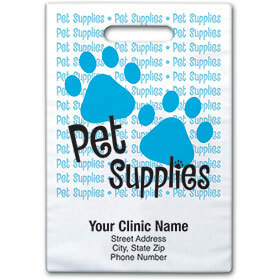 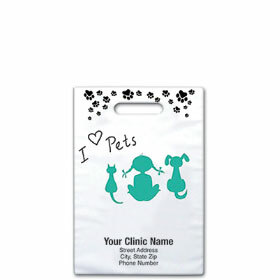 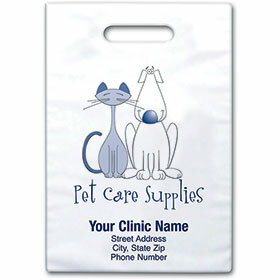 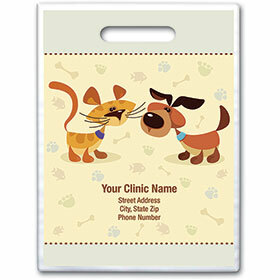 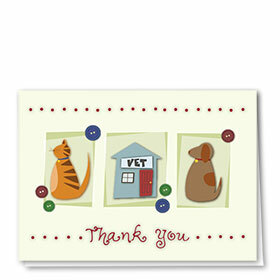 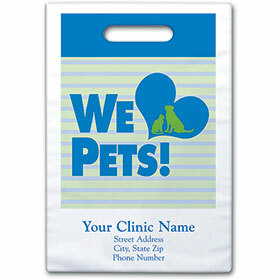 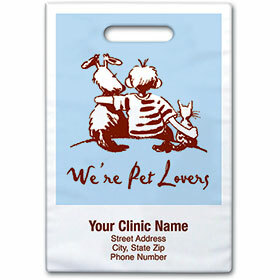 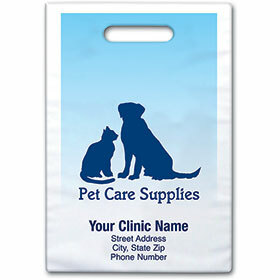 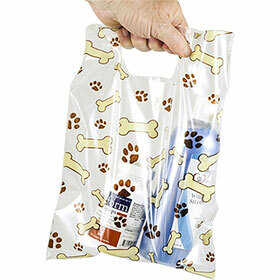 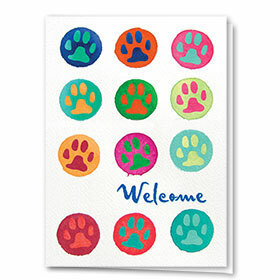 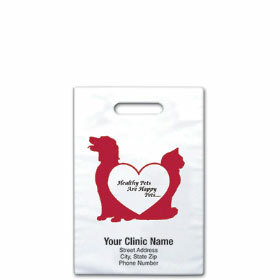 Send pet supplies home in style with our personalized veterinary supply bags. 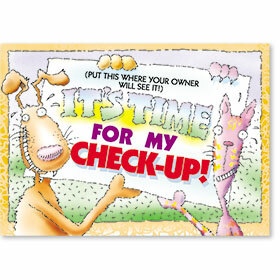 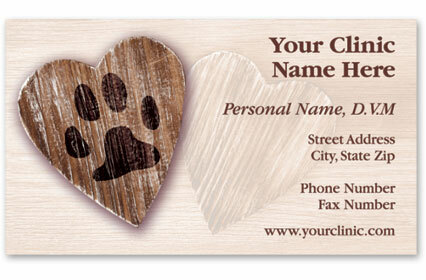 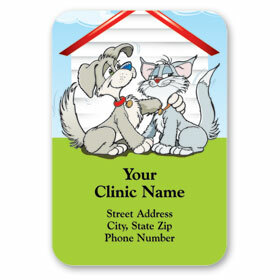 We have a variety of designs available that can feature your animal clinic name and address alongside a fun and cheerful graphic. 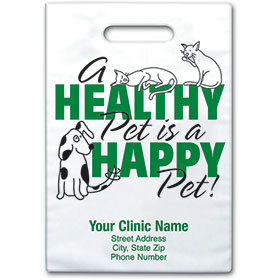 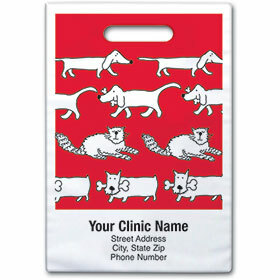 These pet supply bags make great veterinary promotional items and giveaways for every day use and events. 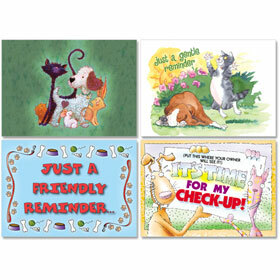 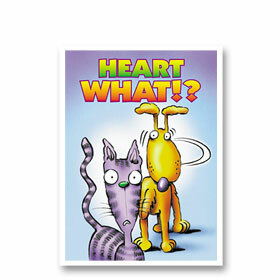 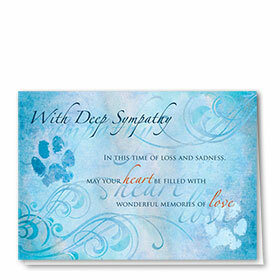 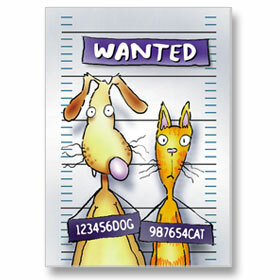 Each design has the option of a 9" x 9" or 9" x 12" size. 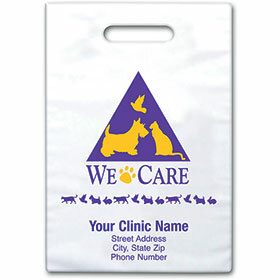 Our stand alone Scatter Print supply bags measure 9" x 12" and are available with six fancy designs featuring a die-cut handle and clear plastic so that clients can see the products contained.